Even in the world of smartphones and desktop planners, the calendar remains a constant in many offices and households. Faulstich Printing can create custom calendars in several different formats that make great impressions at schools, businesses, and more! 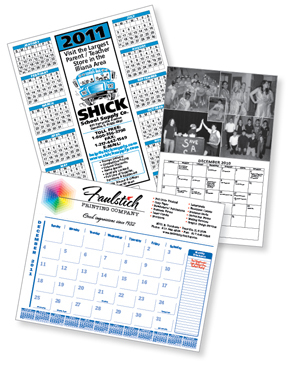 Wall calendars, desk calendars, pocket calendars are just some of the formats we can do for you! !